Enhances appearance and UV protection to all vinyl, rubber, plastic and leather surfaces. 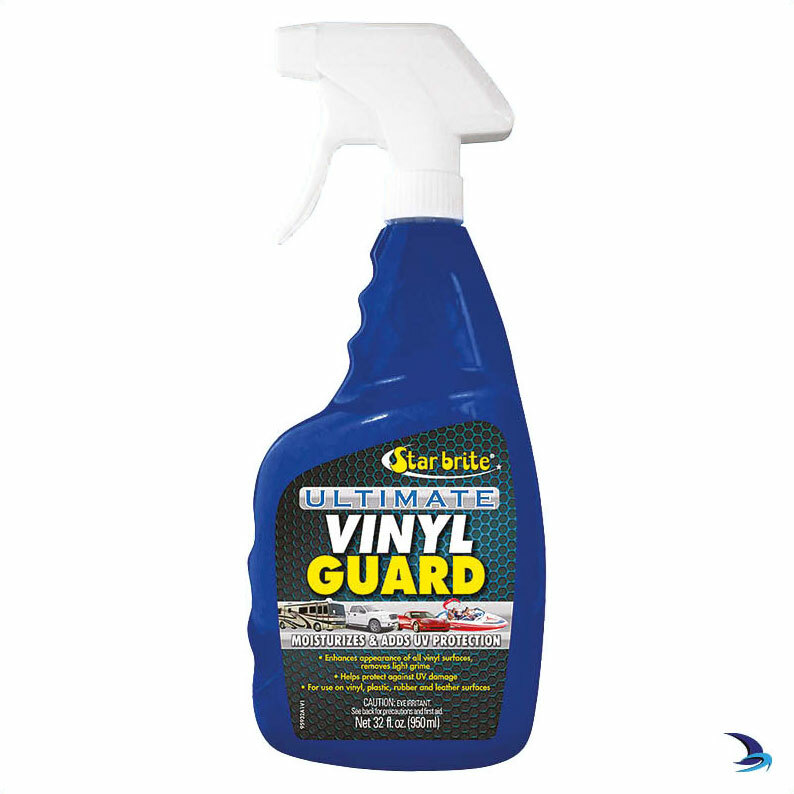 Formulated to restore suppleness to vinyl exposed to the harsh marine environment. PTEF© polymers bond to treated surface to form a barrier that helps repel stains and damaging UV rays; acts like a sunblock for vinyl surfaces. Can be used as often as needed to keep vinyl looking great.